Adorable set of 3 pencil boxes. 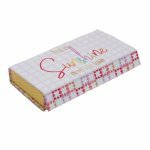 "Hello Sunshine" is the largest box, approximately 11.5" X 6.25" X 2.5". The floral box is the medium sized box, approximately 10.25" X 5.25" X 2". The small box has "There is sunshine in my soul today" on top, as well as a divided interior. 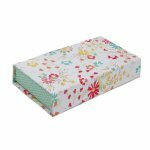 This box measures approximately 8.75" X 4.5" X 1.5".